5. HOMEWORK: Bring a pen for tomorrow. We will sign yearbooks on Wednesday afternoon. 3. HOMEWORK: Bring your cell phone to class tomorrow. I need to show you how to use Aurasma so you can access the yearbook videos. I would like to play a Kahoot game or two. a. pH quiz - Does Evansville have acid rain or regular rain? Monday, May 8, 2017 - Wow! This is going to be a crazy catch-up day! 2. Share last Wednesday's assignment. b. Explain the cause of acid rain. c. Explain how you measure acid rain. d. Explain the difference between wet deposition and dry deposition. e. Explain the effects of acid rain on living organisms. f. Explain the effects of acid rain on man made structures. Friday, May 5, 2017 - Only for classes that met with me today. This would be periods 1 and 9. Wednesday, May 3, 2017 - Students that COMPLETED lab! B. Particulate Activity. Open up you particulate activity Google document. Finish answering the conclusion questions. breathe the air? Explain why. mentioned in this activity, could you think of as being produced in a single day? WEBSITE below to help you with this chart. Wednesday, May 3, 2017 - Students that did NOT do lab yet! B. Log on to Achieve 3000. You must complete the first FIVE sections of one of the three articles below. You only need to do one article. You pick the article you want to do. C. Watch the video posted below titled “This is What Pollution Does to Your Body." Answer the four questions that follow on a Google document! D. Share your Google document with me. I will be checking at the end of each class period to make sure you have shared this document AND that you have completed the Achieve3000 assignment! 3. HOMEWORK: NONE. We will finish the particulate activity tomorrow. 2. Collect Chapter 16: Section 2 - Air Quality worksheet. This is posted on Friday, April 28 if you have been absent. 4. HOMEWORK: You must have the Chapter 16: Section 2 - Air Quality worksheet completed for science class. If you co not have it completed, you will not be able to do lab with me. If you forgot your air quality worksheet at school, you will need to print it off or write your answers on a sheet of lined paper. Please see Friday, April 28 for a copy of the worksheet and reading selection. 5. HOMEWORK: NONE, we will finish on Monday. 5. HOMEWORK: NONE. You will finish the Chapter 16, Section 2 worksheet tomorrow. 2. Collect any work that has not been turned in to me. 2. Collect last Thursday's reading and reading worksheet. 3. Calculate your ecological footprint. a. Complete the handout given to you in class. 2. Finish Human Impact on Ecosystems worksheet from yesterday. ​ an error that that your Flash is not updated. Come see me if this is your problem. for you so you can quickly find your answer. Obviously, I cannot link the questions on your hard copy. class. If you are absent today, you can print out the worksheet at home to complete it. 4. HOMEWORK: NONE. You will be given 10-minutes tomorrow to complete the worksheet. 4. HOMEWORK: You must have your writing assignment completed for the start of tomorrow's class. I wish I could give you more time in class; however, we must move on to a different Earth science topic. NOTE: I noticed several of you have not turned in the Holiday World permission slip or the class day permission slip. If you need another copy, please print it out and get it turned in ASAP! Tuesday, April 18, 2017 - My dad's birthday! Happy Birthday Dad! 2. Review for tomorrow's quiz using Quizizz.com. We will play the review game in live mode. 4. HOMEWORK: Your water cycle quiz is tomorrow. Yes, you may use your science journal on it. 2. Turn and Talk Time over teacher selected questions on the water cycle. 4. HOMEWORK: Begin preparing for Wednesday's water cycle quiz. Yes, I do know that you are IStep testing this week; thus, I have made the quiz open notes. You may use your science journal to help you complete this quiz. 3. Day 4: Virtual Activity: When is Water Safe to Drink? 4. HOMEWORK: You need to have your virtual activity completed for Monday's class. This means you must have the words filled in on the front side, the data table drawn, the data table filled in, and the five journal questions completed in COMPLETE sentences. 2. 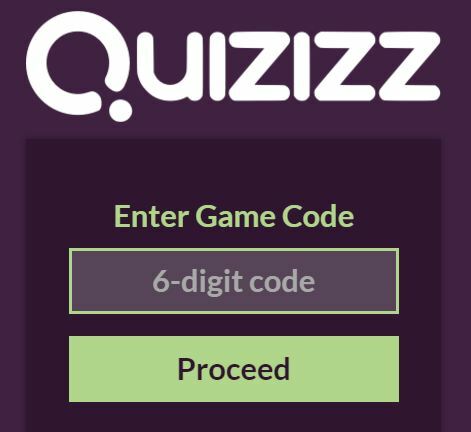 Quizizz.com game. You will have to wait until class starts to get the game code. 3. Achieve3000 Article of your choice. You need to complete the first five sections. table has 6 rows and 8 columns. d. Complete the data table. 4. HOMEWORK: I will collect this assignment tomorrow - even if you do not finish the assignment. 4. Virtual Activity: When is Water Safe to Drink? You will need to use this website to complete this activity. I will give you 10 - 20 minutes today to work on this assignment and all of tomorrow's class to FINISH this assignment. 5. HOMEWORK #1: If you did NOT finish the Achieve3000 article from Friday, you need to do so by the start of tomorrow's class. Check your Achieve3000 email to find out the name of Friday's article. 6. HOMEWORK #2: Virtual Lab. Again, I will give you all of class tomorrow to finish this assignment. 2. Check vocabulary one LAST time. 3. Activity: Water Cycle. Complete the questions below in your SCIENCE journal. Yes, you MUST write in complete sentences. Why would you not write in sentences? You have been writing answers for YEARS in sentences. Thank you for writing in sentences. Writing in sentences shows your instructors you care about the work and what you are learning. a. What science tool was used to mimic the Sun’s energy of this experiment? ​ b. What does the water do as it is heated? c. Where does the water go? d. What part of the water cycle does the boiling flask represent? e. What does the water do as it travels through the vinyl tube and it hits the cool test tube? f. What does the cool test tube represent in the water cycle? g. How did the color of water change as it traveled though the water cycle experiment? h. Where was water vapor in this activity? i. When does water vapor turn into liquid water? j. Write down two things you learned about the water cycle by doing this experiment. k. Log into your Achieve3000 account and complete the first FIVE steps of the article I emailed you. 4. HOMEWORK: Your water cycle conclusion questions/directives (a - k) must be completed for Monday's class. 2. Lab: Water Cycle -- Period 9 students will do this lab tomorrow due to ThinkPad collection. 2. Recheck vocabulary assignment from Monday. 3. 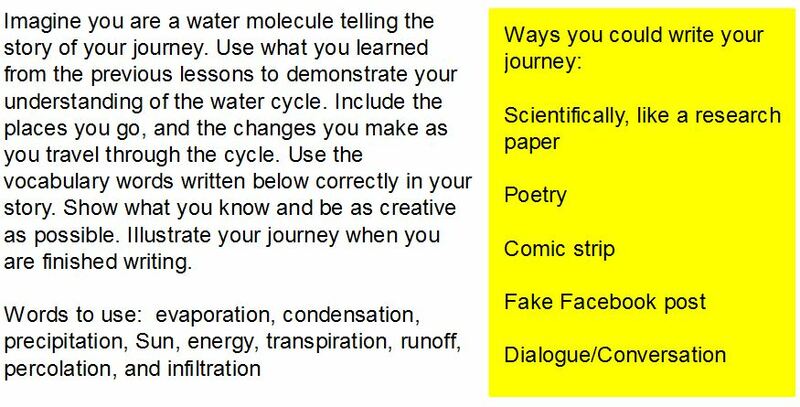 NOTES: Water Cycle Handout #2. We will complete as much of this handout as possible today. 2. Vocabulary Check - take 5 question formative assessment over the nine vocabulary words. You will take this formative assessment using ItsLearning. 3. NOTES: Water Cycle. You will need to get the handout upon your return to school. 4. HOMEWORK: If you did not finish your vocabulary from MONDAY, you need to do so. I will recheck vocabulary tomorrow. 2. Earth Science - Water Cycle vocabulary. This vocabulary MUST be written in your science journal. You MUST complete the nine vocabulary words following the example posted here. 3. HOMEWORK: Finish water cycle vocabulary. Friday, March 24, 2017 - PINEAPPLE CLASSIC -- Woot! Woot! Who will win this year? 4. HOMEWORK: NONE, just be safe over Spring Break. Thursday, March 23, 2017 - Pineapple Classic is tomorrow! 3. Achieve 3000 article. Check you Achieve 3000 email to find the article I want you to completed. 4. HOMEWORK: Your Achieve 3000 article is due at the START of tomorrow's class! 3. Quizizz. This is a new game platform like Kahoot. I would like to try this with you today. We'll see how we like it or don't like it. 4. PICK ONE! You ONLY need to complete one review guide. Yes, you may complete both review guides. No, completing both review guides will not get you bonus points. anyone else's score. The game code is 782088.
worksheet of different questions for you to practice. 4. HOMEWORK: You have a paper/pencil quiz tomorrow. This quiz will cover calculating atoms in a compound using subscripts, parentheses, and coefficients. You will be allowed to use your science journal and a calculator. Tuesday, March 21, 2017 - PSAT test for a few of you. 2. NOTES: Notes are on the first two pages of this document. If you were not in class today, you need to get a copy of today's notes AND you need to complete the nine practice problems BEFORE you do the homework! The notes and the practice problems are on the first two pages of this document. 4. HOMEWORK: Look at page 3 of this homework assignment. It is due at the START of tomorrow's class! Your Holiday World permission slip and money were due yesterday. Your class day permission slip was due yesterday! 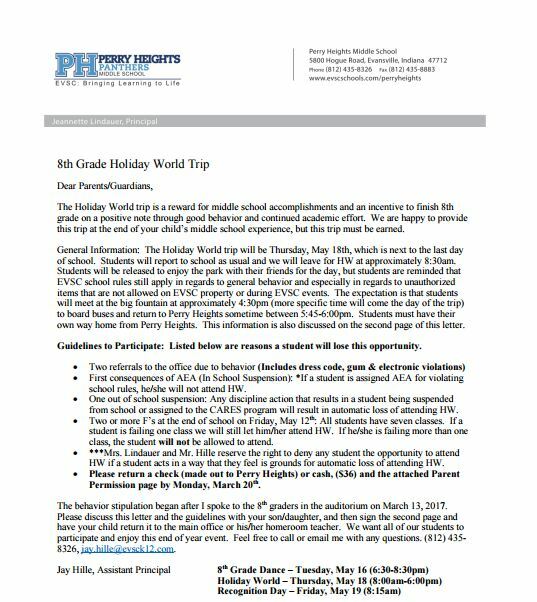 If paying the field trip money is a problem, Mr. Hille clearly stated to come and talk with him. He will work with you. You still need to turn in the permission slips. 4. Review Game Zone﻿. The game code ID# is 21081. 3. Practice problems on calculating atoms in a compound using subscripts and parentheses. You can find a copy of the practice problems if you look through the notes for today's class. 4. ﻿Review Game Zone﻿. The game code ID# is 21081. This game is different than the one from yesterday! 5. Review Game Zone (if time permits). The game code ID# is 36419. 6. Review Game Zone (if time permits). The game code ID# is 36419. 7. HOMEWORK: None. We will finish the practice problems tomorrow in class. 3. NOTES: Calculating Atoms in a Compound. We just started this today. We will finish notes tomorrow and do a plethora of practice problems. 4. HOMEWORK: NONE, unless you haven't checked your science grade. Please check it. If I have made any errors, come and see me! Monday, March 13, 2017 - Review school wide expectations. 3. HOMEWORK: Please check your current science grade. Many of you did not turn in your Achieve 3000 assignment from Monday, March 6. 3. Activity: Curd and Whey. a. Make modification to lab. b. Turn in required materials to teacher. You will run this modification on Monday. 4. If you finish early, you MUST select one of the option below to complete! No, you do not need to do all three. Just pick one option and complete it. This is NOT extra credit. This is an actual assignment for you to complete! Option 1: You Tube Video Quiz. Watch a teacher selected video and write a five question quiz over this video. Make sure you include an answer key. Turn in your questions and answer key. Option 2: You Tube Video Quiz. Watch a teacher selected video and write a five question quiz over the video. Make sure you include an answer key. Turn in your questions and answer key. Option 3: Turn and Talk. Write five turn and talk questions that we could use over elements, compounds, and mixtures. Make sure you include an answer key. Turn in your questions and answer key. ​5. HOMEWORK: NONE, unless you did not finish the option of your choice. 2. Finish chart on compound, elements, and mixtures. We will go over these answers to make sure you have this chart correct. d. Materials, Procedure, and Data table. I will give this to you tomorrow in class for those of you writing your lab. ​ If you chose to type your lab, you may access the document here and copy and paste it into your document. 4. HOMEWORK: You MUST have your background paragraph finished for the start of class tomorrow. This background paragraph is your ticket into lab. 3. Go over answers to Matter Flow Chart. Make corrections if wrong. 4. Turn and Talk. Located to the right and it has my dog pictured. 5. 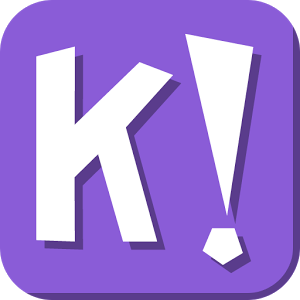 Kahoot over all ten vocabulary words. 6. Chart on compound, elements, and mixtures. We will start this activity today. We will finish it tomorrow. 7. HOMEWORK: Make sure your Achieve 3000 article assigned on Friday, March 3 is DONE by the start of Wednesday's class! 5. HOMEWORK: Make sure your Achieve 3000 article assigned on Friday, March 3 is DONE by the start of Wednesday's class! On Monday, March 6, we will finish our study of introductory chemistry. My expectation is that you will learn how to calculate atoms in a compound and will learn how to balance chemical equations. There are a few labs/activities I would like you to do as well. Be ready! Find your periodic table! questions, materials, procedure, data table, analysis graph, AND conclusion questions. 3. HOMEWORK: Achieve 3000 Article: A Story with Legs. You must complete the first five sections. ​3. HOMEWORK: NONE, you will finish this activity tomorrow. 4. Just for fun. Try one of the adaptation games or try this game. 2. Activity: Beak Adaptations. Periods 3, 4, 5, 6, and 9 collected data today. Period 1 will collect data tomorrow for this activity. If you missed today, you will need copy the materials, procedure, and data table in your science journal. Please see under the homework for tonight for what we completed in class. 2. Adaptation Activity: M & M's. Go over the six conclusion questions from yesterday. 3. Adaptation Activity: Beak Adaptations. I have posted what we completed in class today below tonight's homework for anyone who was absent from class. 2. Adaptations Activity: Collect data and complete conclusion questions. The conclusion questions are listed below. YES, you need to write your answers in complete sentences. 1) What was the color of your environment? What is represented by the M&M’s? What do you represent? 2) Which two colors had the highest survival percentage? Justify your answer. 3) Which two colors had the lowest survival rates? Why might this be the case? 4) Is coloration an important factor in successful predation? Explain why? 5) What is the relationship between the environment and the color of the M&M’s selected? 6) Is the adaptation activity based on structure, behavior, or physiology? Explain how you know your answer. 3. HOMEWORK: NONE, unless you do not have the six conclusion questions done. 2. Begin adaptations activity. I'm attaching what we did in class. You can find it listed under today's homework. 3. Turn and Talk. Here are the questions we discussed during this time. c. What is artificial selection? d. What are the four key principles of natural selection? f. Assuming the brothers are not identical twins or mirror fraternal twins, why don't brothers look exactly alike? What type of natural selection is this example? very fast swimmer before you snag it on your line. What type of natural selection is this example? 2. Quiz: DNA. Yes, you may use your notes on this assignment as long as you bring your notes to class. I will not send anyone back to their locker to fetch their science journal. 3. Return your worksheet to me BEFORE starting the homework. 4. HOMEWORK: Biology: Evolution. This will be our last lesson in biology. You MUST have these questions completed for the START of class tomorrow. I will NOT give you time to finish this assignment tomorrow during class. I have other things planned for you. You may use the textbook chapter provided or you may look up these answers online.Yes, you may either write your answers or type your answers. Either way works for me. a. What is the biology definition of evolution? b. How did Jean Baptiste de Lamarck explain the process of evolution? c. What did Charles Darwin observe about the finches on the Galapagos Islands? give an example of each principle. e. What must be present in a population for natural selection to occur? f. What is speciation and how can isolation lead to speciation? 4. Collect Friday's worksheet - I will grade questions 13 - 18. 6. HOMEWORK: DNA Quiz is tomorrow. You may use your notes on this quiz tomorrow. Below are some possible quiz questions for you to review. You do not need to do these questions but it would be helpful to review them before tomorrow's quiz. a. Who is Fredrich Miescher? b. Who is James Watson? c. Who is Francis Crick? d. Who is Rosalind Franklin? c. What are the four nitrogenous base pairs? d. Which base pairs complement each other? f. What is a gene? g. What is a chromosome? h. How many bases are there in DNA? i. What is a nucleotide? j. Where is DNA found in a cell? k. How many chromosomes do we get from our father? 2. Collect Strawberry DNA conclusion questions. If you typed it, you need to share it with me. 3. Complete this worksheet on a sheet of lined paper! You will need to use your notes,the video posted below to complete the worksheet. The video is titled What is DNA and How Does it Work? 4. If you finish early, you will work on one or more of these options. Option A. You can play a DNA review game. and score a 75% or higher. Sections to complete are listed below. 2. Take a poll. What type of DNA would you like to extract next? We have to pick something that is EASY to extract because of our 40-minute class periods. Look at this site and look at this site BEFORE making your decision. Take the poll using Google. a. Clean buffer solutions - no soap or soap residue! b. Complete conclusion questions. You may type these answers or write these answers. Whichever you decide to do, you MUST write the answers in complete sentences by restating the question, answering the question, and tying it back to the lab. There are 12 questions to answer! 1. What was the purpose of pulverizing the strawberries? 2. What was the purpose of the DNA buffer solution? 3. Why did you have to use a filter with filter paper? 4. Describe what DNA looked like. statement an analogy of our DNA lab? 6. Is DNA found in all living things or once living things or both? 7. What is a genome? * You need to watch a video posted below to answer the next set of questions. 9. Based on the video, how long can DNA be preserved? 10. Based on the video, why would we want to understand ancient organisms? 11. Describe placer mining as you see it in the video. 12. What does ancient DNA studies have to do with climate change? c. Take home strawberry DNA. ​Monday, February 13, 2017 -- I've shared two videos I really like about DNA. You should watch these videos to review what you have learned about DNA. Friday, February 10, 2017 -- LAB on MONDAY! 2. Test: Genetics. This is a paper/pencil test. 3. HOMEWORK: Answer the questions below in your science journal. b. Where does one find DNA in the human body? c. What are the four base pairs of DNA? f. What is the shape of DNA? h. What sugar is found in DNA? i. Why is DNA called the "blueprint of life?" 2. It's Learning: Genetics Practice Quiz. This is the quiz I gave last year on Punnett squares. You MUST practice it. This is a required assignment. 3. Punnett Square Practice Game A. We haven't used this site in a LONG time but I found a genetics game for you to play while reviewing for tomorrow's test. 4. Another Punnett Square Practice Game B. If you like playing basketball, you should try this game. 5. Practice Quiz on Punnett Squares. If you want more of a traditional quiz, try this site. 6. HOMEWORK: You have a test tomorrow over all the notes you completed with me. You will be allowed to use your science journal and graded worksheets on tomorrow's test. This test is going to be a paper/pencil test. 2. Collect last night's practice problems. 4. HOMEWORK #1: Practice problems. You will need to write your answers on a sheet of paper. 5. HOMEWORK #2: Remember, this homework was assigned on Friday. Your Achieve 3000 article is due tomorrow at the start of your class. You must read A Real Cold Fish. This assignment is due TOMORROW, February 7, 2017 at the start of your class period. You are REQUIRED to finish the first five sections which are listed below. c. Complete activity - I will ONLY take the first score. 3. Activity: Genetics Worksheet #2. Complete in class and turn in before you leave today! ​4. HOMEWORK: Achieve3000 Article. You must read A Real Cold Fish. This assignment is due on or before Tuesday, February 7, 2017. You are REQUIRED to finish the first five sections which are listed below. 3. Complete activity - I will ONLY take the first score. 3. HOMEWORK/EXTRA CREDIT: None, unless you want to do the 10-point extra credit assignment. This assignment is due on or before Friday, February 3, 2017 by 2:30 p.m. You do NOT have to do the extra credit assignment unless you want extra credit. Here goes . . .
a. Log in to Achieve 3000.
b. Search for the article The Perfect Apple? I did NOT assign this article, but you can still do this article. ​ I will NOT accept any other article for extra credit. e. Complete activity - I will ONLY take the first score. 5. Its Learning Assignment - all classes completed this today except for period 1. Period 1 will complete this tomorrow! 6. HOMEWORK: Genetics Practice Worksheet #1. Due tomorrow at the START of class. No time will be given to complete this assignment! 7. Extra Credit. 10-point extra credit assignment. This assignment is due on or before Friday, February 3, 2017 by 2:30 p.m. You do NOT have to do the extra credit assignment unless you want extra credit. Here goes . . .
3. Notes over identifying if a genotype is homozygous dominant (purebred), heterozygous dominant (hybrid), or homozygous recessive (purebred). 5. HOMEWORK/EXTRA CREDIT: None, unless you want to do the 10-point extra credit assignment. This assignment is due on or before Friday, February 3, 2017 by 2:30 p.m. You do NOT have to do the extra credit assignment unless you want extra credit. Here goes . . . NOTE on Extra Credit: You MUST complete the ENTIRE extra credit assignment to be considered for extra credit. If you only do part of the extra credit assignment, I will not give you any points. You MUST complete the ENTIRE extra credit assignment to receive ANY extra credit points. 1. Begin Personal Traits Inventory - chart is on the right. 2. Homework: NONE. We will finish this chart on Monday. 3. HOMEWORK: NONE, unless you have NOT finished the chapter 3 work from Mr. Angermeier. This work was assigned the FIRST week back from Christmas break. There are SEVERAL of you who have not finished the work. I have the worksheets below in case you need them.